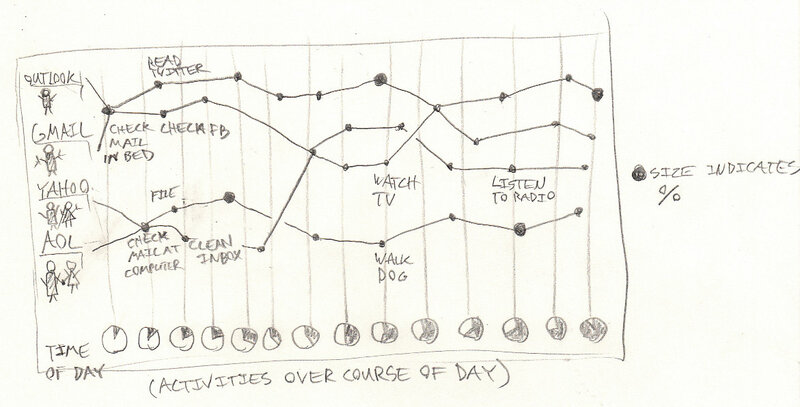 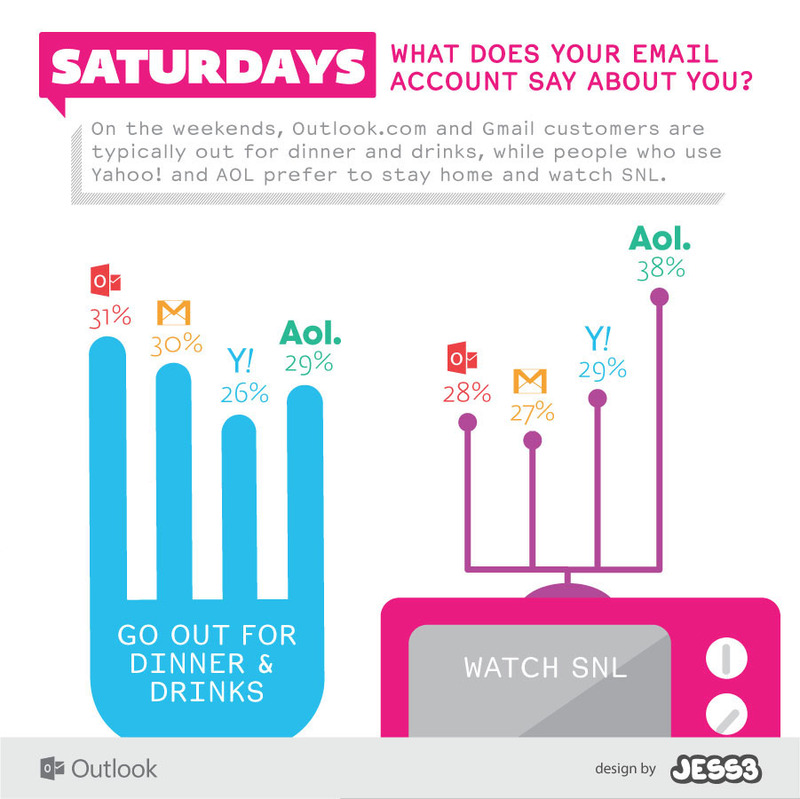 Ever wondered who still uses AOL? 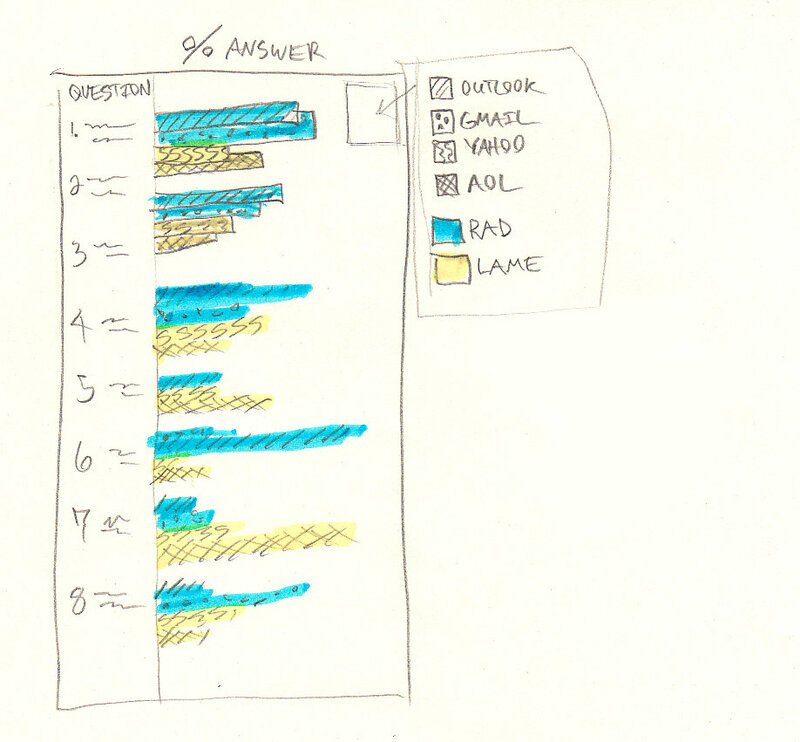 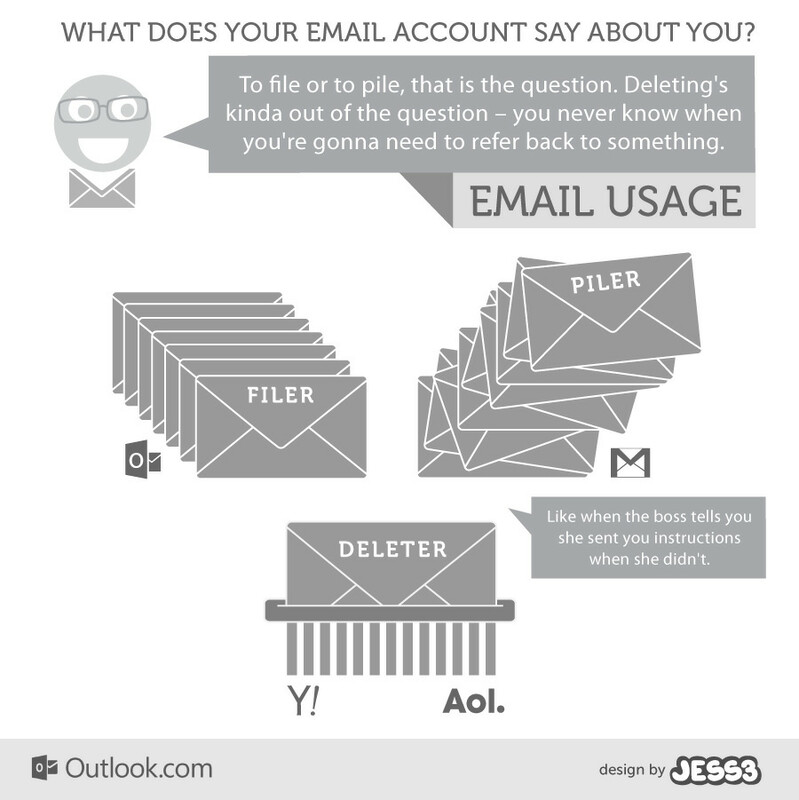 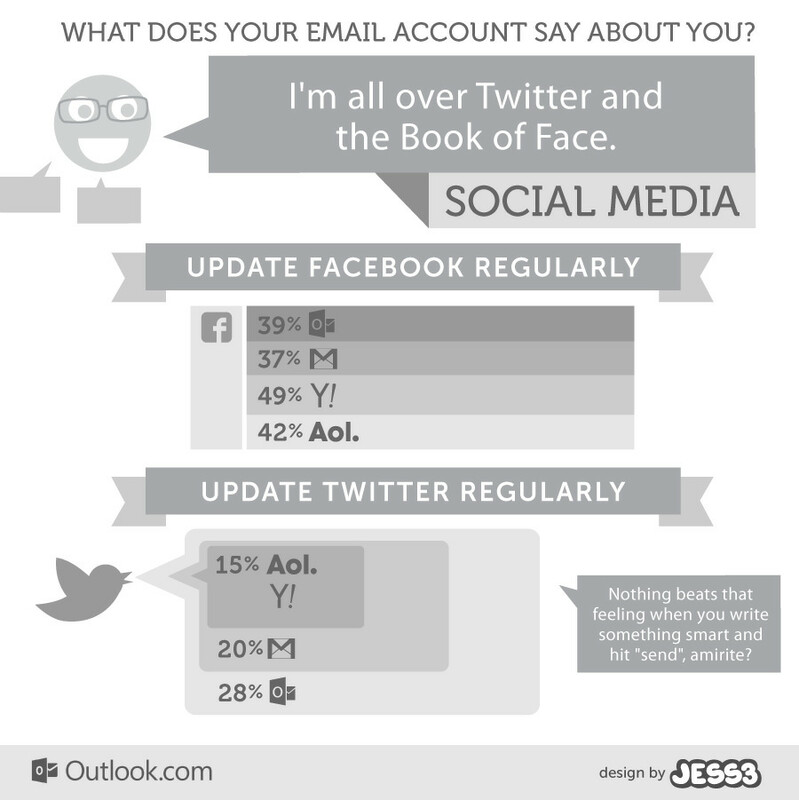 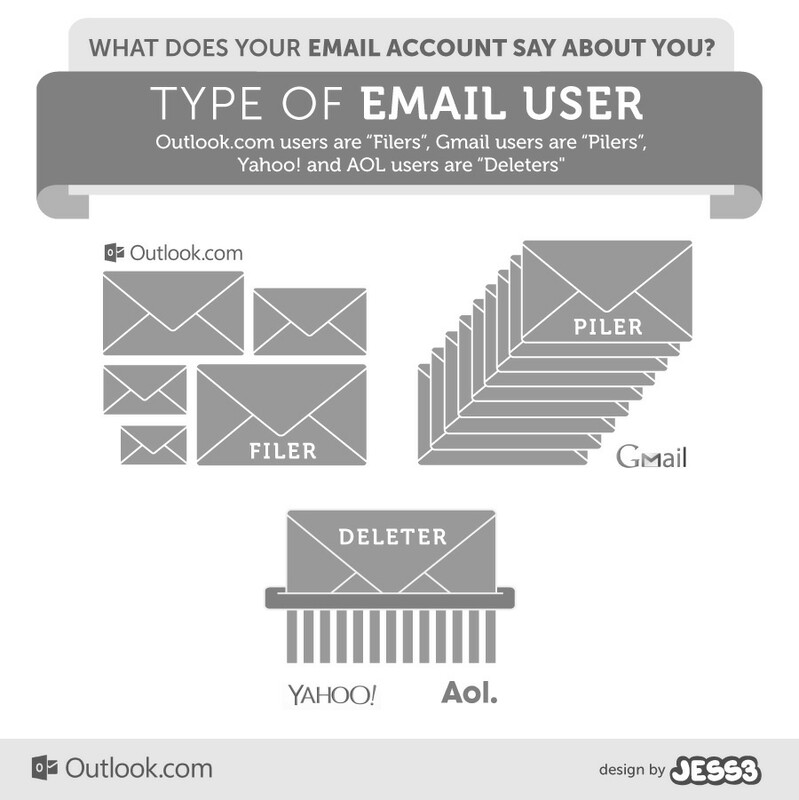 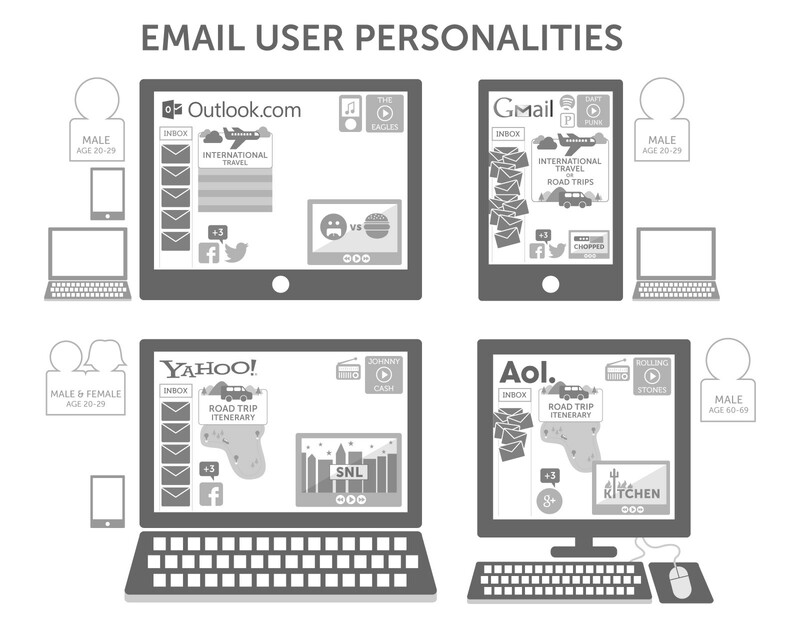 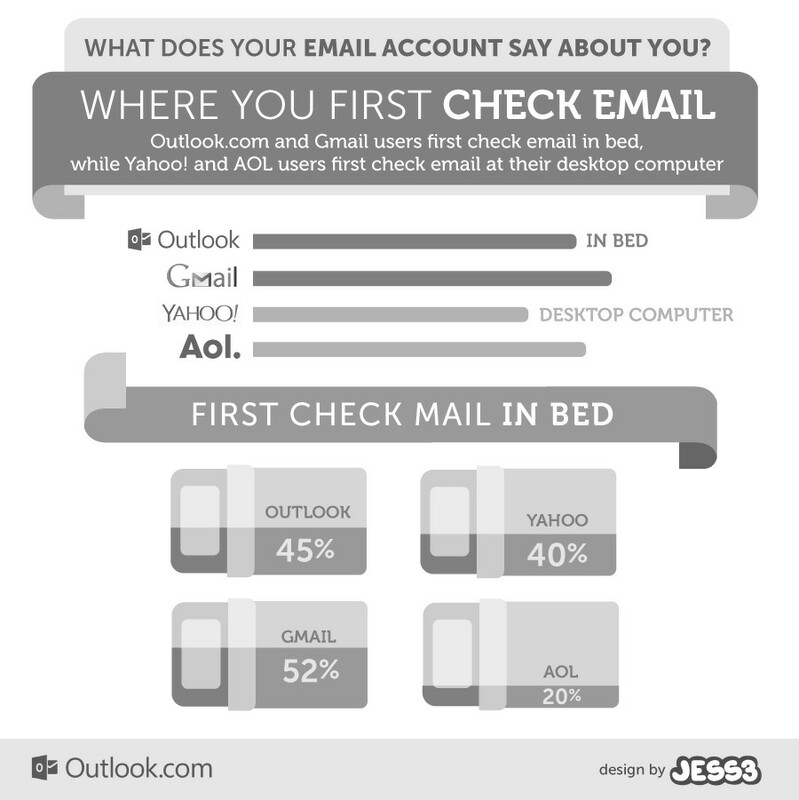 Microsoft did, too – they developed a study exploring the different characteristics of people who use AOL, Yahoo!, Gmail, and Outlook.com email domains. 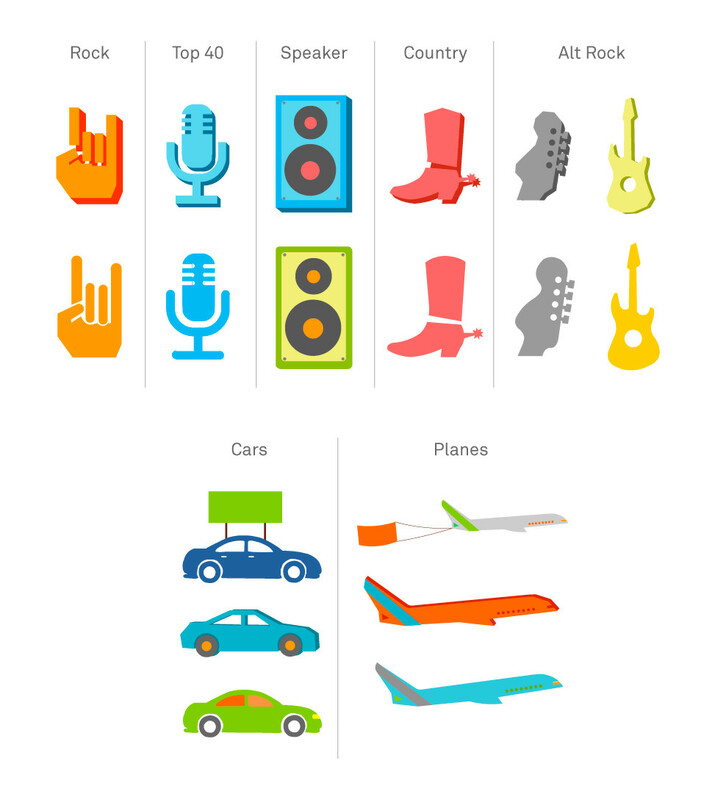 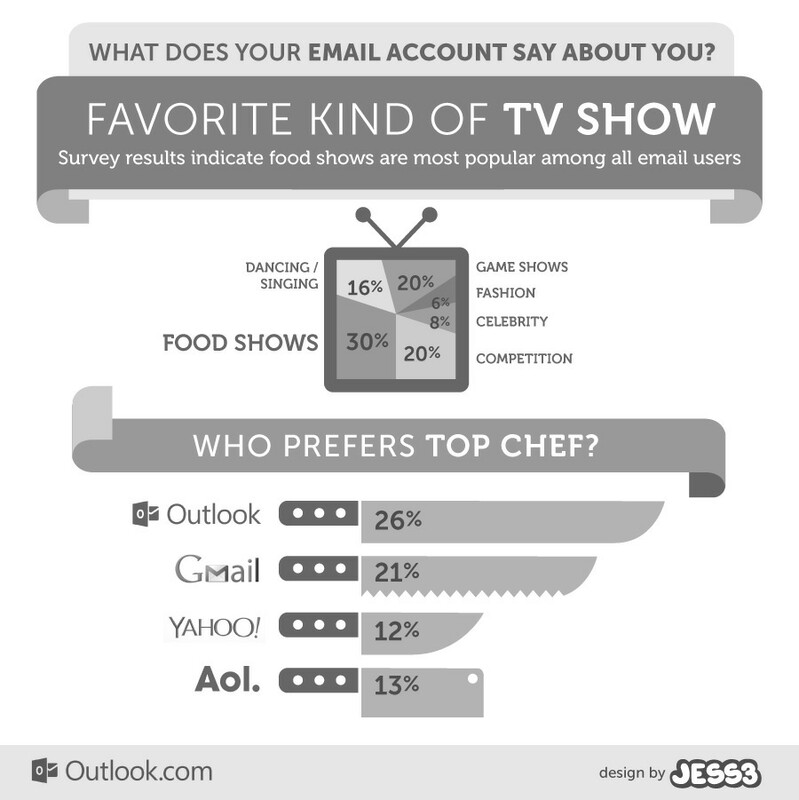 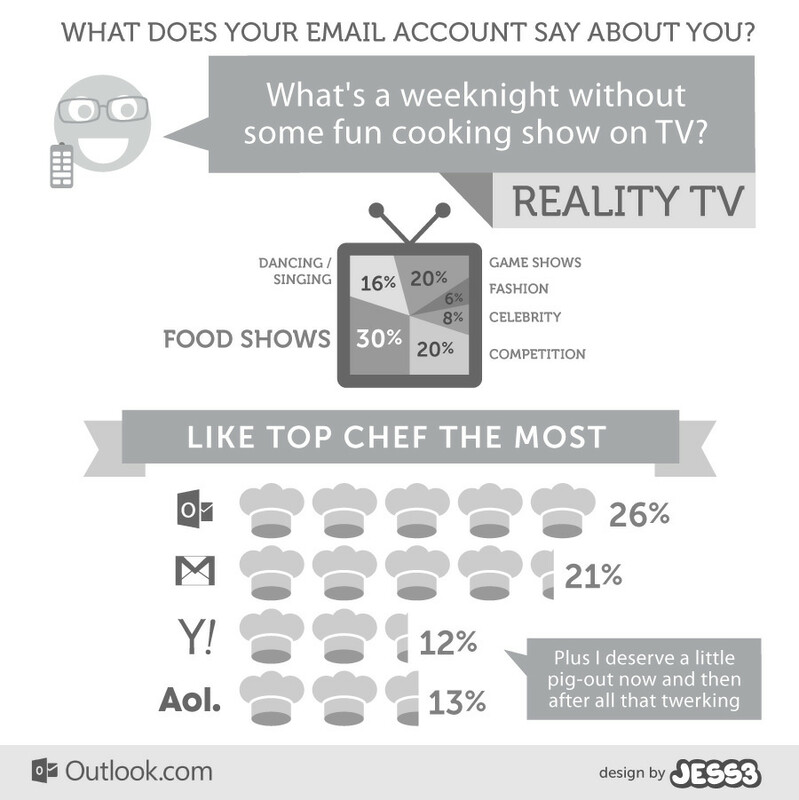 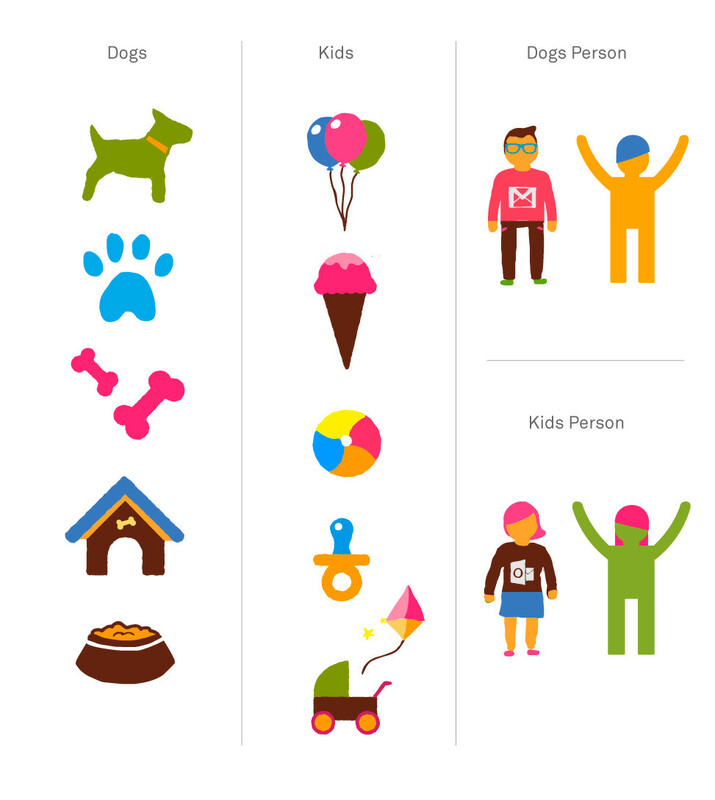 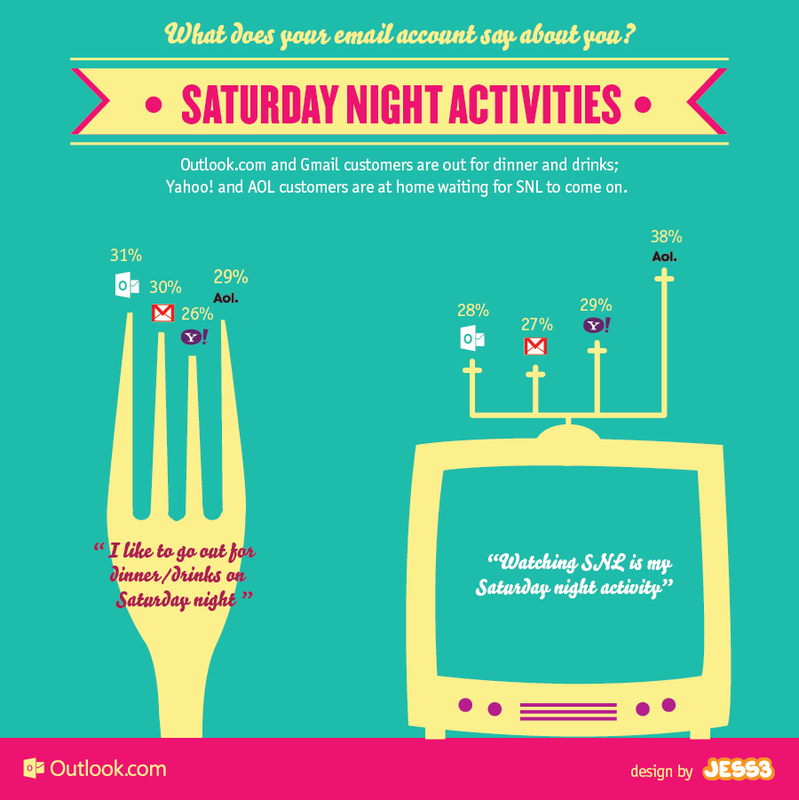 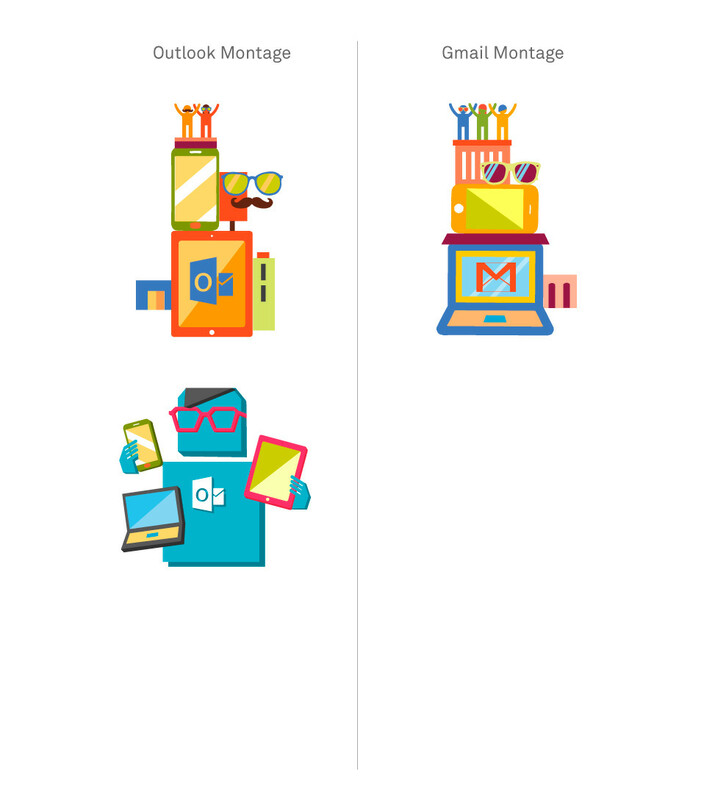 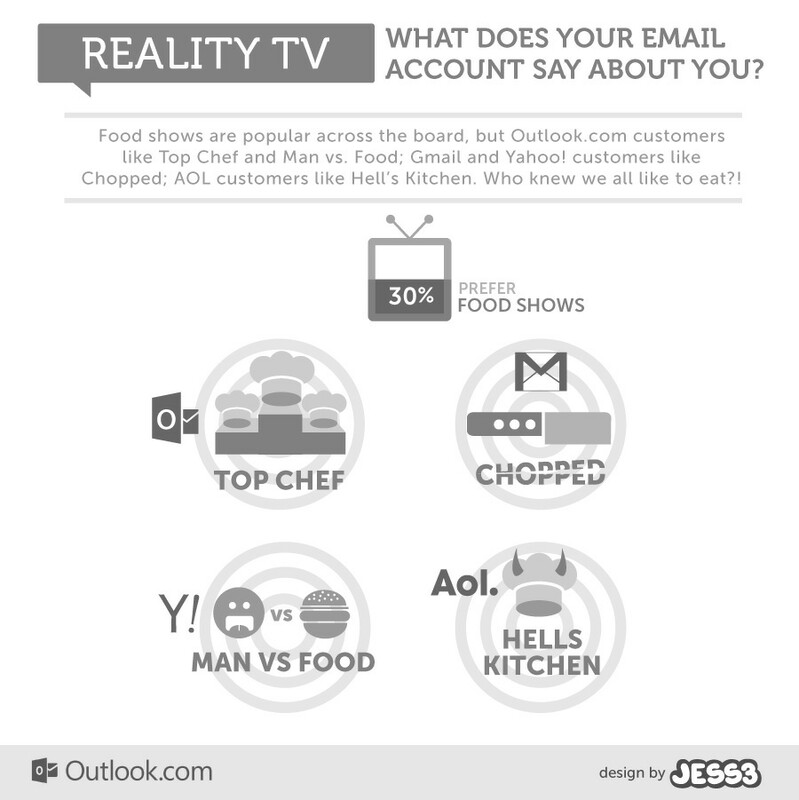 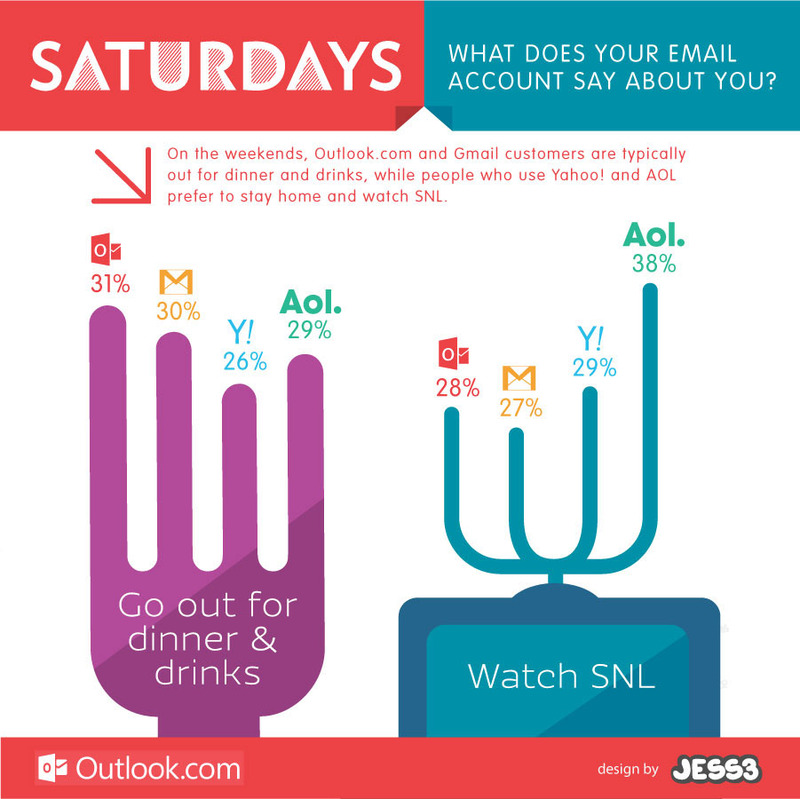 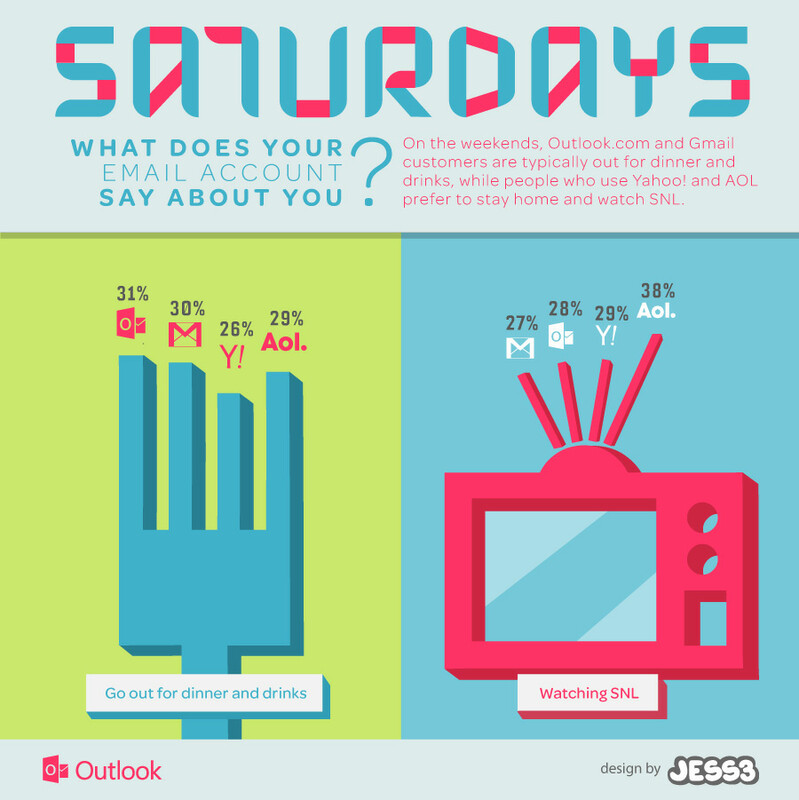 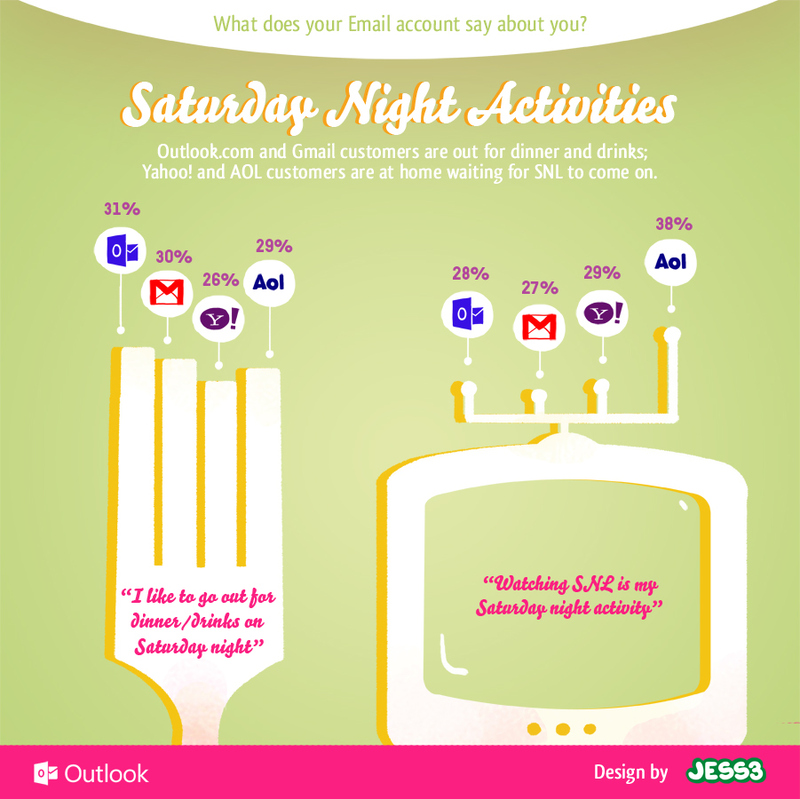 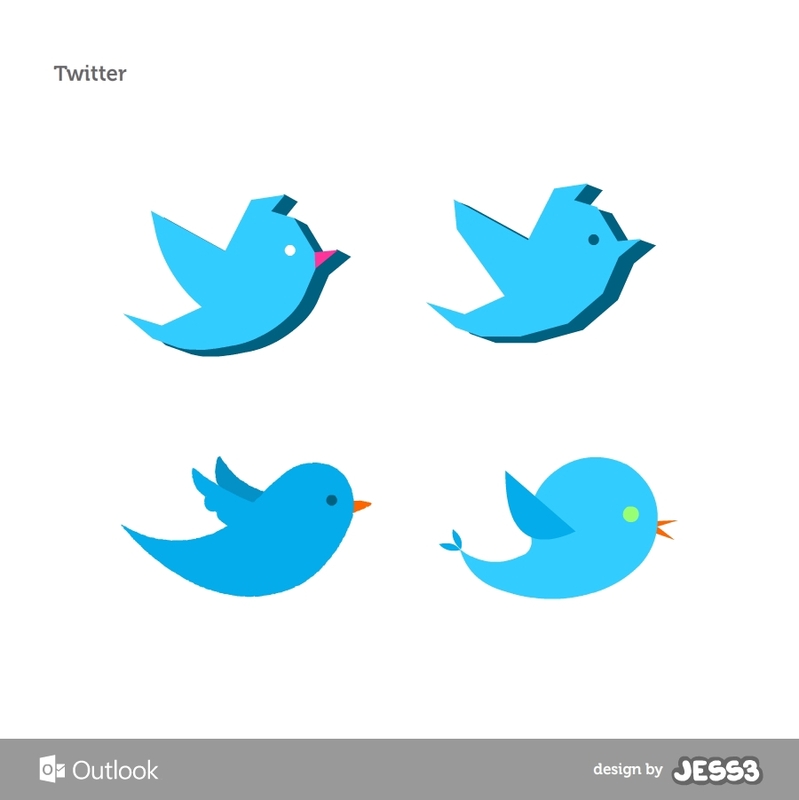 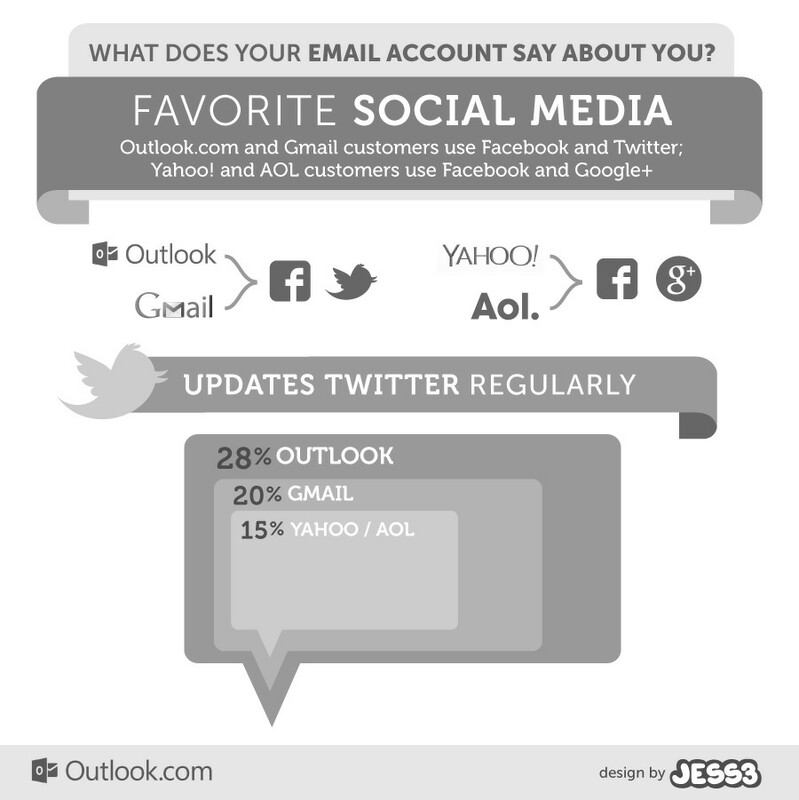 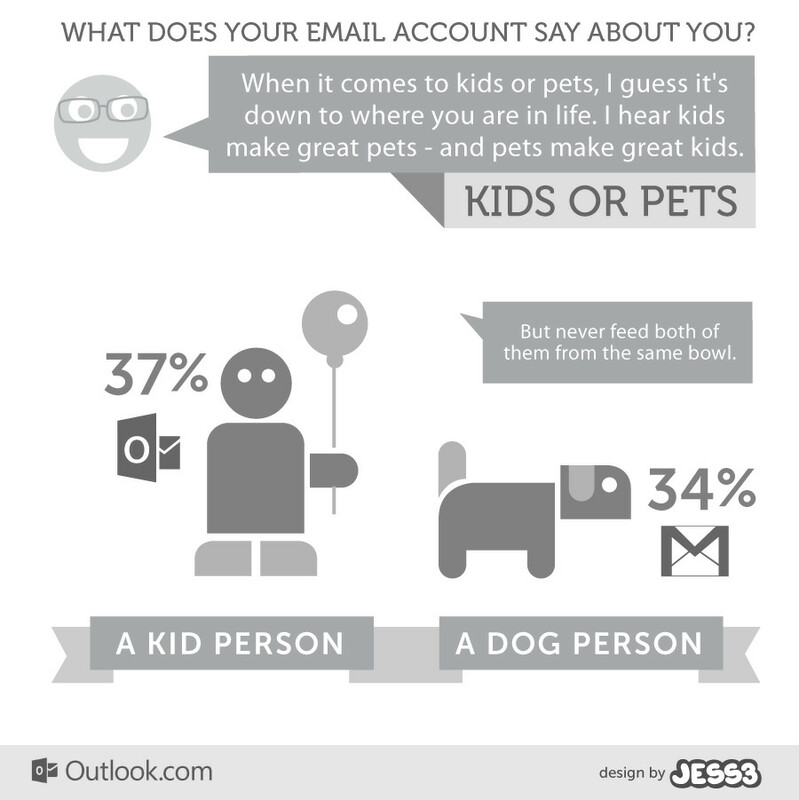 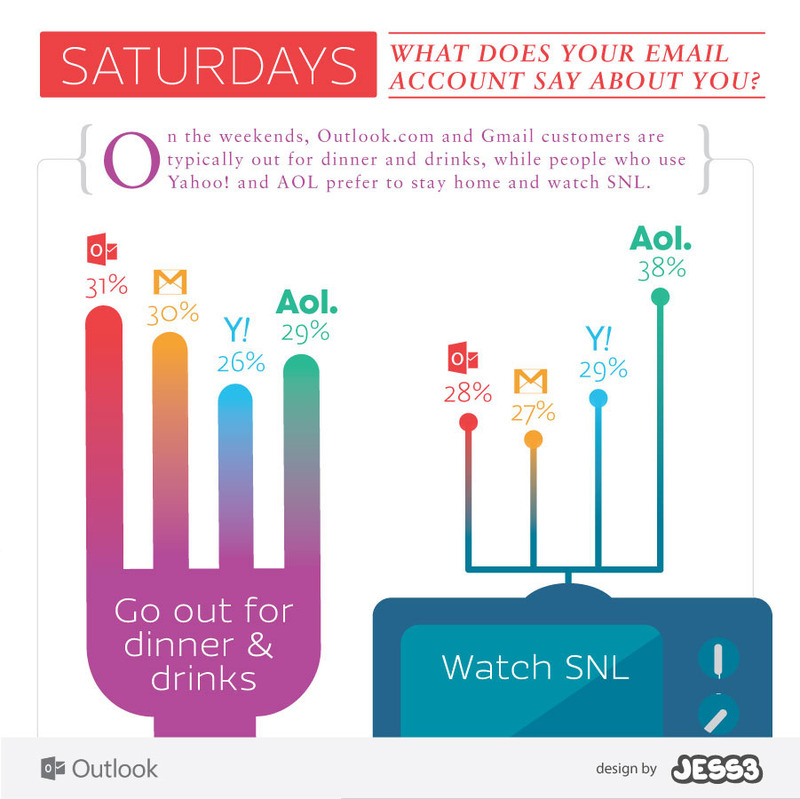 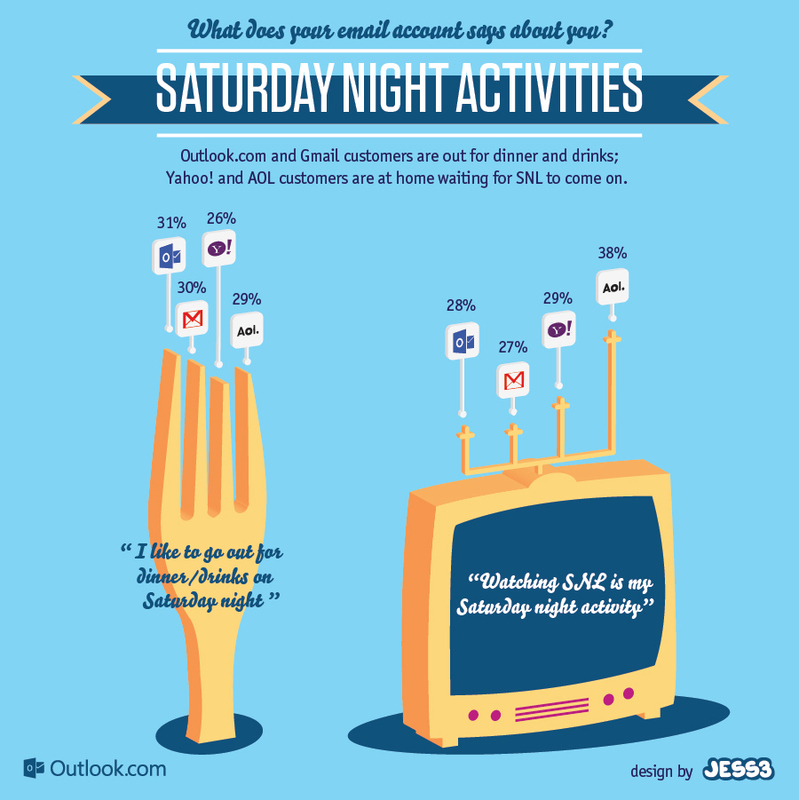 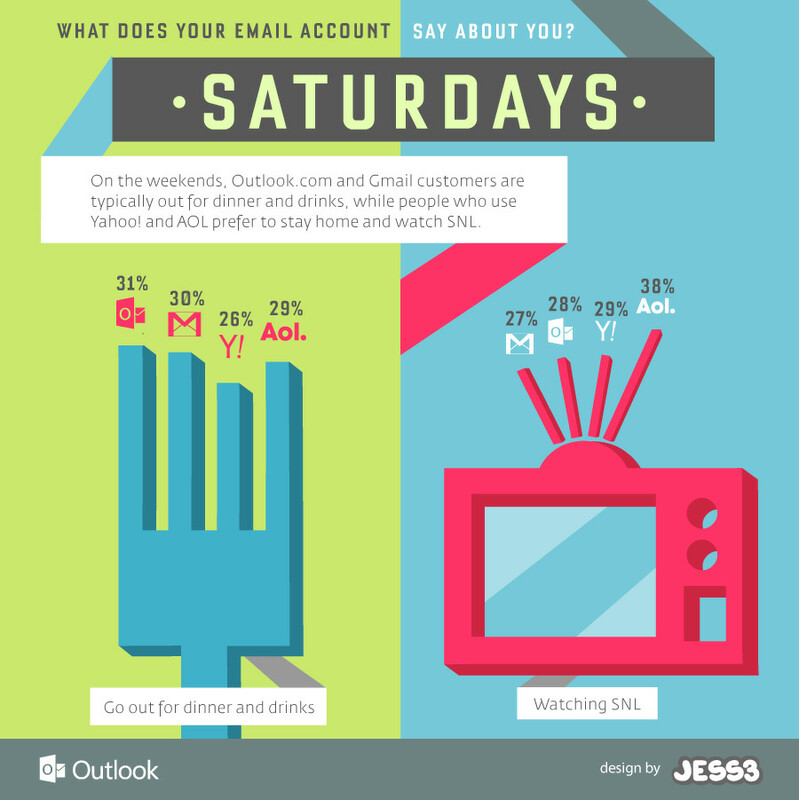 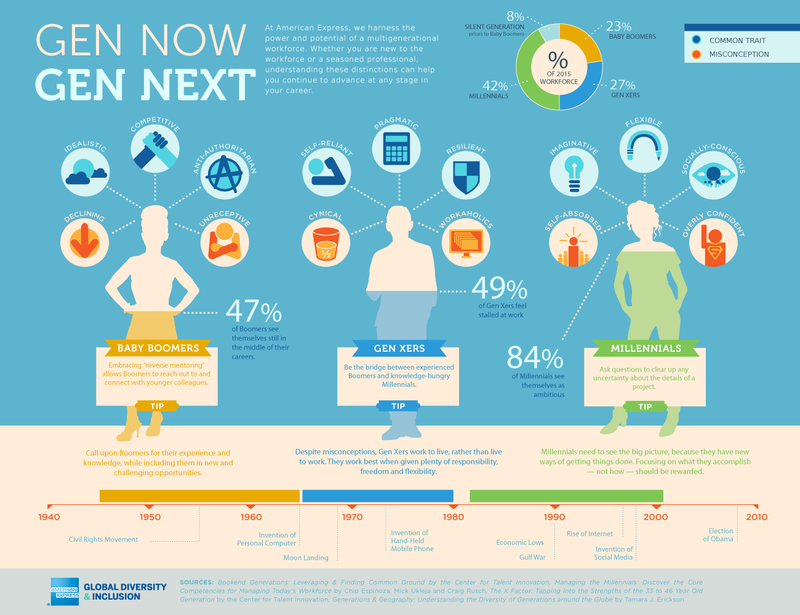 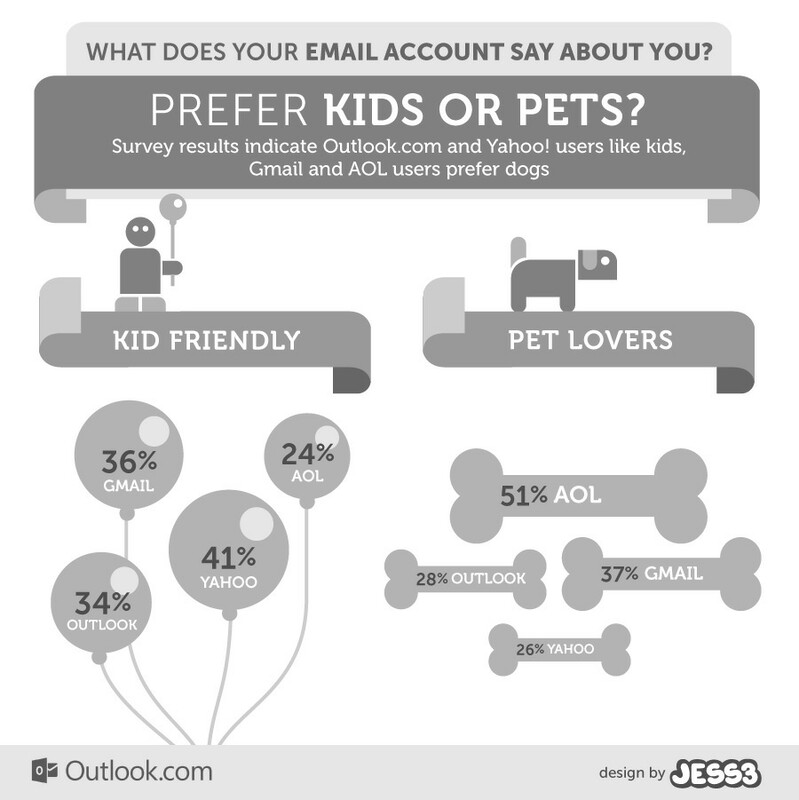 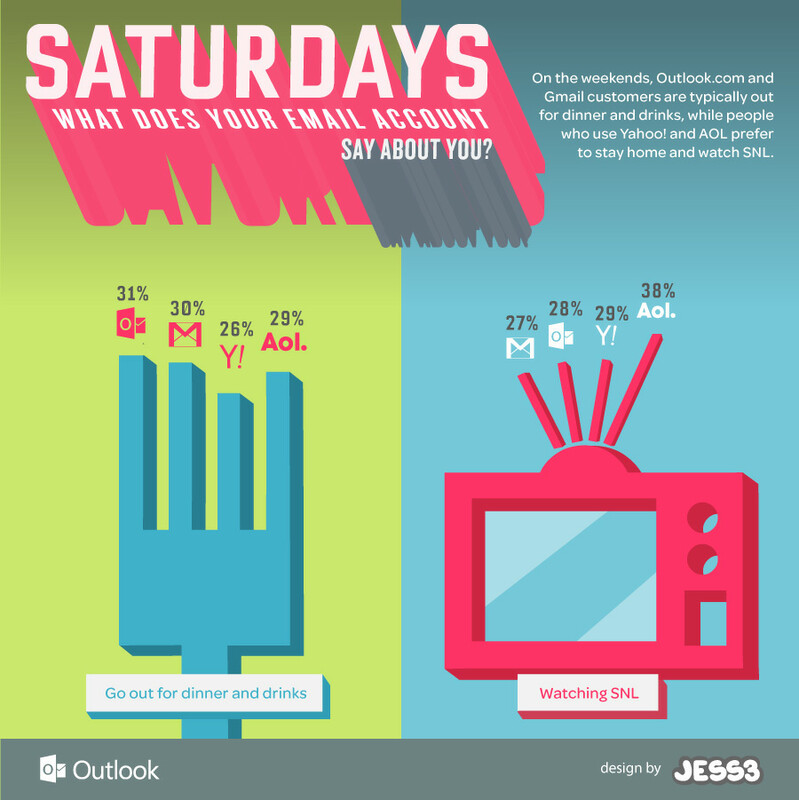 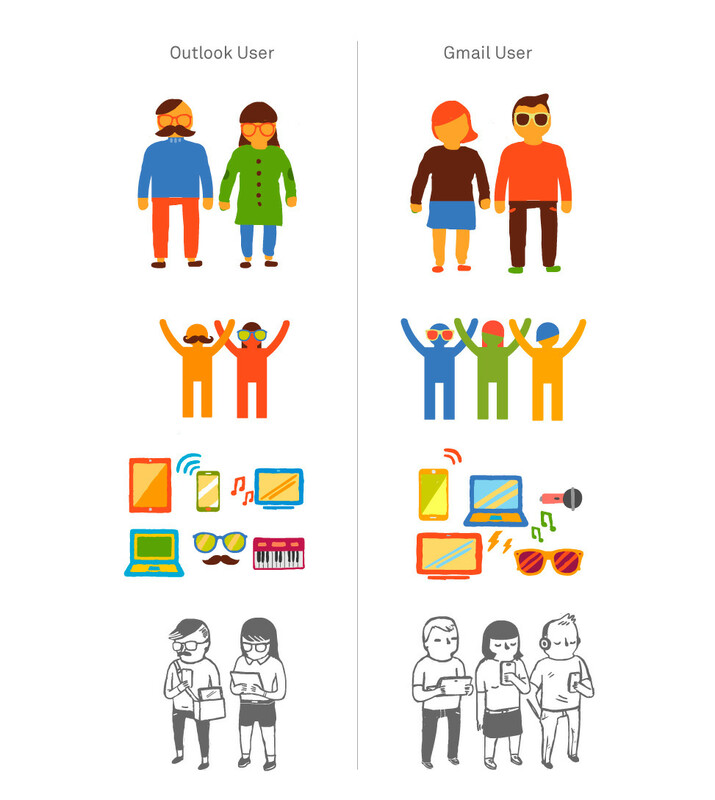 The series of snackable graphics we produced for them proves what many already assumed: young, tech-savvy people tend toward Gmail and Outlook.com...not so much toward AOL.